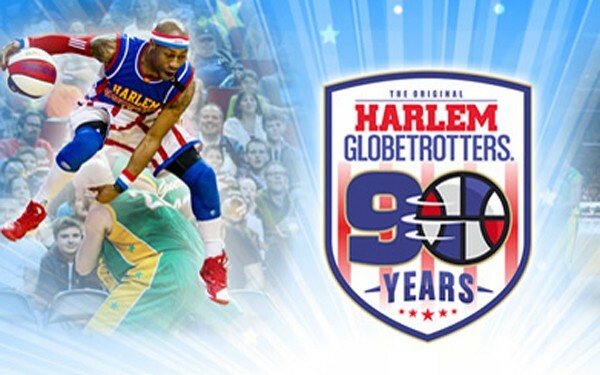 The world-famous Harlem Globetrotters return to Kent next month for their 90th Anniversary Tour for two performances: Fri., Feb. 12 (7 p.m.) and Mon., Feb. 15 (2 p.m.). You don’t want to miss their ball handling wizardry, basketball artistry and one-of-a-kind family entertainment – perfect for a family outing during President’s Week. You can learn more and buy tickets at ShoWareCenter.com. Want to attend the event, compliments of iLoveKent.net and ShoWare Center? We’re giving away a four-pack of tickets to one lucky iLoveKent fan! To be eligible, you must be 18 or older, and you must be able to attend the event or give the tickets to someone who can. The winner will have their choice of dates – Feb. 12 (7 p.m.) or Feb. 15 (2. p.m.). Just sign-up for our monthly email newsletter to be eligible here. Already a subscriber? Thank you! To enter the contest, send an email to [email protected] with “Contest Entry” in the subject line. We need your First Name, Last Name, Zip Code and Email Address. We’ll draw the lucky winner’s name at random from all the entries fr on Friday, February 5. We’ll notify you via email and post the winner’s name on iLoveKent’s Facebook and Twitter accounts.